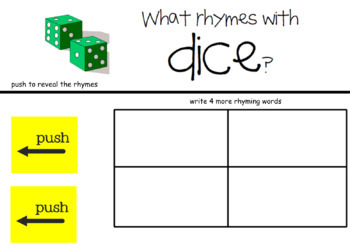 Rhyming activities are a great way to develop a variety of language arts skills. 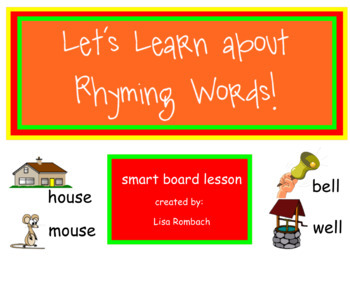 My SmartBoard lesson provides many opportunities for your k-2 students to learn more about rhyming words. The file includes a lesson plan, interactive pages, links to videos, website links and a printable to check for understanding. 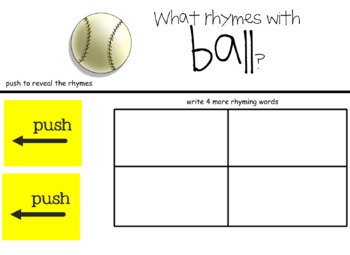 Use the pages individually or combine pages to create mini lessons. 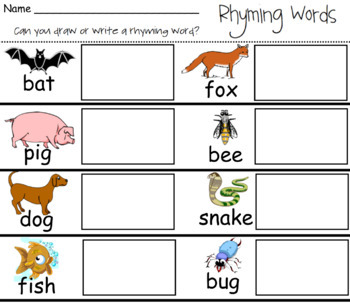 Your students will have FUN learning about rhyming words!